Staying in London over Christmas means being away from home and the traditional Christmas Day lunch with family and we are often asked for suggestions of alternative ways to spend the day. The most popular is a combined day including a tour of London, seeing the famous landmarks, plus festive decorations and a traditional Christmas Day lunch. 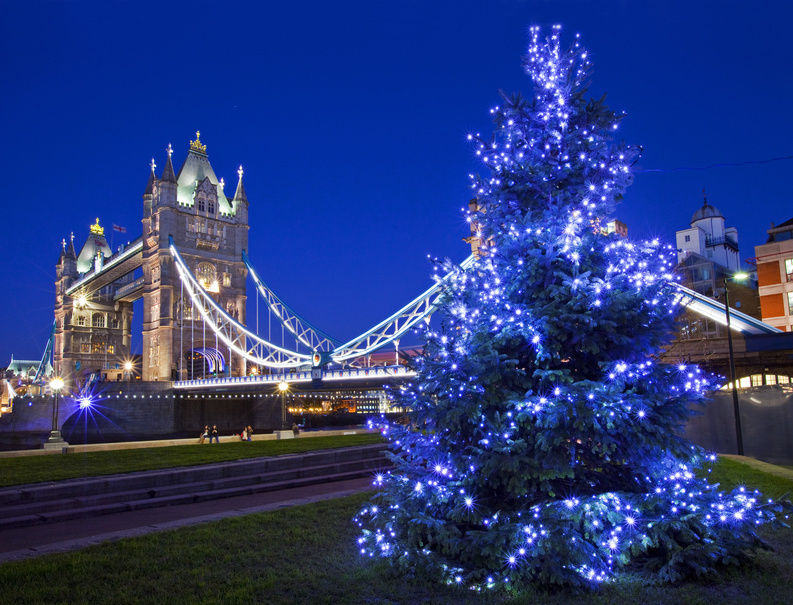 Feel the magic in the air during a Christmas Day lunch cruise with City Cruises! Do something a little different this Christmas Day and sail down the River Thames during an enchanting 3 hour 15 minute cruise. You will board the Thames Cruiser and enjoy a Welcome glass of sparkling wine to kick off your Christmas Day lunch cruise in London. The modern sightseeing boat features a roomy, open-air deck and large glass windows for city sightseeing at its most spectacular! The interior will be splendidly decorated for this special day. Take your seat at the reserved table and get ready for your festive Christmas Day lunch to begin! You’ll be served three delicious courses comprised of traditional Christmas fare, followed by tea and coffee with mini mince pies to complete the feast. Some top London sights will drift past as you savour your Christmas lunch and relax in the scenic surroundings. Once the cruise has finished, the boat will return to Westminster Pier and deliver you safely back on dry land to enjoy the remainder of your Christmas Day in London. Posted on September 4, 2015, in Uncategorized and tagged Festive Decorations, London Eye, London Hop on Hop off Bus, River Cruise, Traditional Christmas Lunch. Bookmark the permalink. Leave a comment.